How can Visa Logistics help you visit Turkey? Visa Logistics takes pride in providing the best guidance related to e-visa application and documentation. Being in the field since 2001, we understand the complications associated with the application process. Hence, we ensure that our team provides the services on fast track ensuring that our customers are at ease throughout the process. Foreigners may apply for an education visa only after they have enrolled in a Turkish university, school or a language course certified by the Ministry of Education. Passport with an expiration date at least 60 days beyond the “duration of stay” of the visa, e-Visa, visa exemption, or residence permit. If you have sponsor, sponsor letter, bank statements and passport copy of sponsor. Visa application form to be filled in capital letters. If you have a sponsor, please submit sponsor’s letter, bank statements and passport copy. Application Form : Completely filled with your details. Job Title: The applicant's job title must be clearly identifiable both in English and Turkish versions in related documents. Turkish version of the job title will be considered for the application and it should not exceed 35 characters, including spaces. If no Turkish contract is available, the title in Turkish must be served in brackets. For example, General Director (Genel Müdür). This is very vital for the application. Any mistake might require lodging fresh application. Work Visa Duration: The requested duration and dates for work visa MUST MATCH in Job Offer Letter, Employment Contract and Application Form. In case of any discrepancy, the Employment Contract will be taken as basis for the respective application and the applicant shall be liable for any problem arising directly or indirectly from such discrepancy. It should be either an exact date range like 01/09/2015 - 31/08/2016 for one whole year OR include a phrase like "to commence one (1) year from granting of work permit". While the applicant can make full use of work visa duration, the applicant might lose some duration from the total. Applying dancers, animators/entertainers, acrobats must fill the three (3) page form. If you wish to prepare documentary films related to scientific research and observation, make commercial and promotional films or conduct archeological excavations within Turkey you must obtain prior permission from Turkish authorities. You will thereafter be issued with the appropriate visa. Please contact the Turkish Culture and Tourism Office in London for commercial and promotional films and the Turkish Embassy in London for all other permissions. Latest 2 months bank statement which shows reasonable amount of money. Passport with an expiration date at least 60 days beyond the “duration of stay” of the visa, e-Visa, visa exemption. A detailed invitation letter from relevant authorities in Turkey. Non British Citizens are also required minimum 6 months valid resident permit on the date of application. Representatives of tour operators need to obtain a "Tour Operator Rep." visa. This type of visa is multiple-entry, and allows holders to stay up to 8 months a year without needing a work permit. Please note that this visa can be issued once in a period of 12 months. 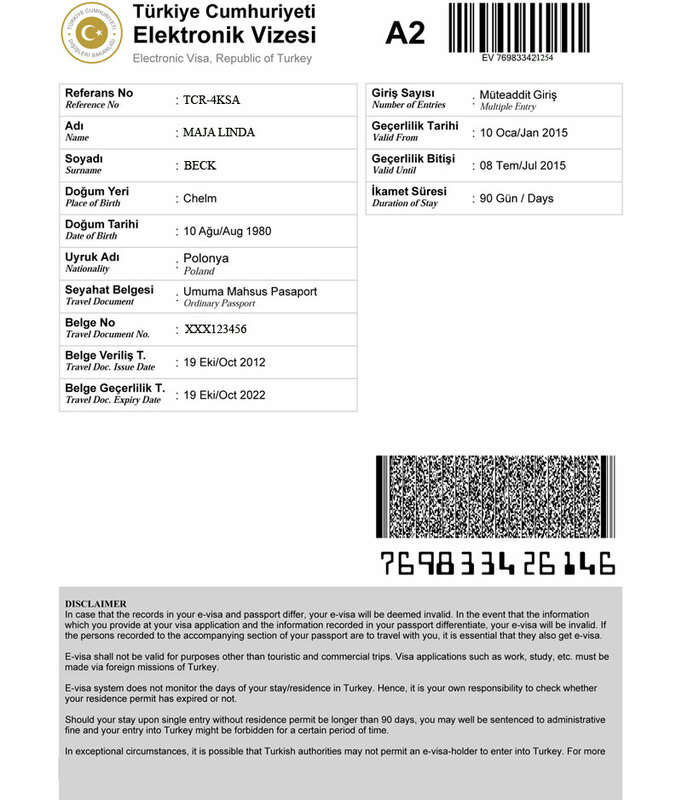 Representatives of tour operators who intend to stay in Turkey for more than 8 months a year or do not fulfil application requirements indicated below and/or provide further documentation that may be requested by Consulate officials upon "Tour Operator Rep." visa applications will be advised to apply for a work permit. Those applicants who do not have relevant work experience in the tourism sector or who do not hold degrees/certificates from tourism related education institutions may opt to obtain an “Exemption Document” issued by the Ministry of Labour and Social Security. The contents of the “Exemption Document” will be determined by the said Ministry. The following documents are initially required for a “Tour Operator Rep.” visa application. Please be advised that further documentation may be requested as deemed necessary by Consulate officials. Person who applies for a visa as a tour operator should have relevant work experience / education in this field and provide reference from previous work place. Alternatively, the applicant must provide a certificate of degree / course completion. A letter from the tour operator/travel agency in Turkey addressed to this Consulate. The letter should state the current position of the visa applicant, his/her purpose of visit and his/her duration of stay (up to 8 months). A letter from employer in the UK including detailed information of employment status and work experience. Visa application form "must be filled in full"
Istanbul is a city in Turkey that straddles Europe and Asia across the Bosphorus Strait. The Old City reflects cultural influences of the many empires that once ruled here. In the Sultanahmet district, the open-air, Roman-era Hippodrome was for centuries the site of chariot races, and Egyptian obelisks remain. The iconic Byzantine Hagia Sophia features a soaring dome and Christian mosaics. Istanbul is truly a world city, a city which everyone should visit at least once in their lifetime. It is an enchanting blend of Eastern and Western culture, a vibrant, modern city, with a unique identity. Its rich past coexists alongside its youthful exuberance. Although no longer the capital of Turkey, Istanbul still remains the country's cultural and business centre. Ankara, Turkey’s capital, sits in the country’s central Anatolia region. Vibrant and cosmopolitan, it’s a center for the performing arts, home to the State Opera and Ballet, the Presidential Symphony Orchestra and several national theater companies. Overlooking the city is Anitkabir, the enormous hilltop mausoleum of Atatürk, modern Turkey’s first president, who declared Ankara capital in 1923. Izmir is a city on Turkey’s Aegean coast. Known as Smyrna in antiquity, it was conquered by Alexander the Great and the Ottoman Empire, and retains landmarks from its long, rich history. Kemeraltı, the traditional bazaar district, is home to the Kızlarağası Han, a market in a restored inn, and Hisar Mosque, dating to the 1500s. Bursa is a large city in Turkey, located in northwestern Anatolia, within the Marmara Region. It is the fourth most populous city in Turkey and one of the most industrialized metropolitan centers in the country. Standing alongside Turkey’s “Great Mountain” (Mount Uludag), the city of Bursa may offer a rather modern appearance, but it was actually the 14th – century capital of the historic Ottoman Empire. Therefore, for many locals, Bursa really does serve as the origin of Turkish culture and remains a city with an extremely important past, which dates back more than 2.200 years. Bursa is very rich in religious monuments, mosques and a centre for silk trade. To make a day off, it is possible to visit Mount Uludag by cable cars, which is a ski resort as well as a national park. Something you will also enjoy in Bursa is the warm mineral-rich springs; indeed most of the hotels in this province have thermal bath facilities. The worldly –known Turkish Baths (Hamam) are great places that should be visited in Bursa. Cappadocia is a masterpiece of the nature with its interesting landscape. Nature, time and people create the features of this interesting region. Cave churches (oldest ones date back to late 3rd or early 4th centuries, with colorful frescoes), underground cities, valleys, fairy chimneys have an effect on daily life. 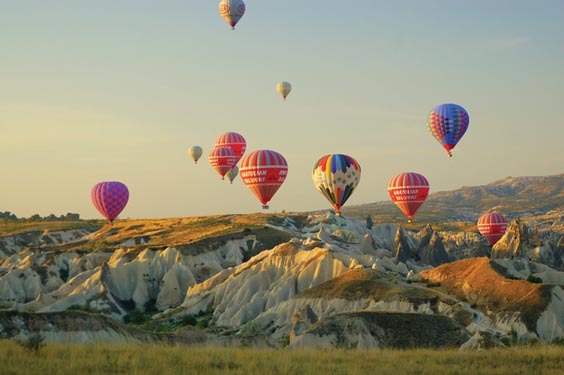 Cappadocia is the new destination of tourism. It provides different things than the guests used to have in different parts of the world. Different history, landscape and art concept are just remarkable. Travel Club is originally from Cappadocia and we will be more than glad to host you in our land. The best hotel suggestions with different facilities and special tour programs created by Travel Club will be at your service. Adana is a major city in southern Turkey. The city is situated on the Seyhan river, 35 km inland from the Mediterranean Sea, in south-central Anatolia. Observant Muslims do not drink alcohol or smoke. Islam is the predominant religion in the Republic of Turkey. It is based on five pillars: Profession of faith, Prayer, Fasting, Charity and Pilgrimage. Do I need any vaccinations before going to Turkey? There are no mandatory vaccinations before traveling to Turkey. What are the Entry and Exit Formalities for Turkey? You need a passport and visa to travel to Turkey. Passports should be valid for at least 90 days from the date of entry into Turkey. 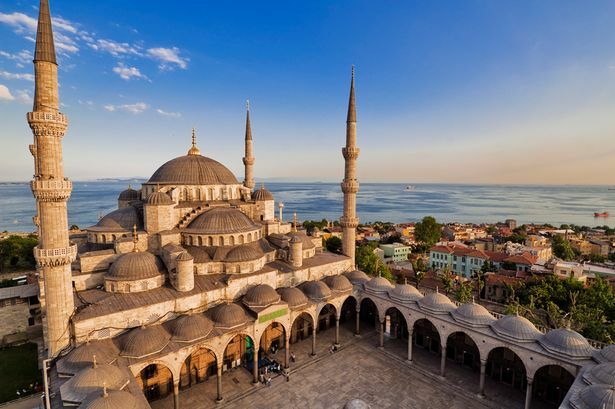 If you are traveling as a tourist, you can purchase a tourist visa at a Turkish Embassy or Consulate in the United States, or you can purchase a sticker visa at the Turkish airport or other port of entry for $20 (U.S.) cash. 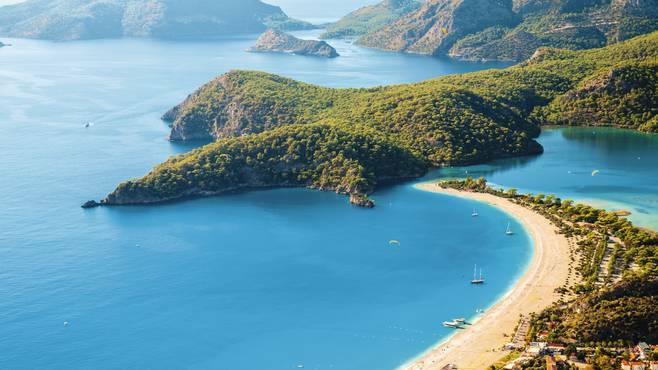 There is one exception: foreigners who are traveling to Turkey by cruise ship are allowed to enter Turkey without a visa for a maximum period of 72 hours, with the permission given by the local security authorities at the port of entry. Effective February 1, 2012, a new law took effect allowing a maximum stay of 90 days within a 180-day period. The new regulation will not make any changes to the visa requirements for travel to Turkey, but it will affect how long U.S. citizens can remain in Turkey. If you are planning to stay in Turkey for more than 90 days within a 180-day period, you must get a Turkish residence permit. U.S. citizens who enter Turkey with a tourist visa and who wish to stay in Turkey for tourism purposes for longer than 90 days are now able to get a residence permit for tourism purposes for a maximum period of six months. This will allow U.S. citizens to stay in Turkey for tourism purposes for up to a total of nine months. In order to obtain a tourist residence permit or any other class of residence permit, please contact the nearest Foreigners Police office in Turkey. The U.S. Embassy strongly urges U.S Citizens to not overstay their visas and to maintain valid residence permits at all times. 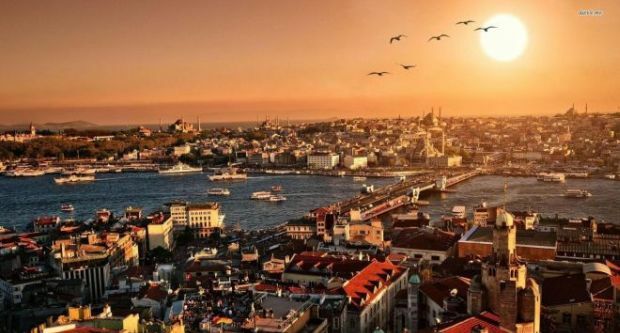 Turkish authorities do enforce the laws, including those stipulating fines, deportation, and bans on future travel to Turkey for people who overstay their visas or do not maintain valid residence permits. Foreigners who have overstayed their visas, residence permits, or visa-exempt periods and are subject to a fine can also benefit from the residence permit procedure as long as they pay the related fines. Turkey practices safe sanitation standards & tap water is suitable for bathing & regular tasks such as brushing teeth. However, as it is heavily chlorinated (especially in summer) it is advisable to drink bottled water. Locals also drink bottled water delivered in 20 - 25 litre containers to their homes -workplaces. We recommend that visitors follow local custom & drink bottled water. Casual wear is appropriate for most tour excursions. Women wear pants or skirts, but when visiting mosques it is recommended that they cover their heads with a scarf & both sexes should not wear shorts out of respects for religious customs. What is the best time to travel in Turkey? The most favourable season for travel in Turkey generally runs between early April & late October. During the off-season, temperatures are much cooler & snow is possible in mountainous areas. Many visitors enjoy the spring & fall, with their mild weather & small crowds. Coastal regions are particularly popular during the summer. These include resort areas along the Aegean & Mediterranean coast with beaches & yachting facilities. The coastline, especially between Izmir & Antalya, features numerous coves & bays & many nearby ancient cities & is perfect for yachting. Turkey also enjoys many spectacular rivers. They are ideal for canoeing, skiing & rafting. Mountaineering is also popular in mountain ranges throughout Turkey in spring & summer. The high plateaus of the Eastern Black Sea Region are covered by colourful flowers & green pasture during spring & summer. Naturists will enjoy the diversity of fauna & flora as well as the heart-stopping splendour of the surrounding landscape. Central & Eastern Turkey can receive large accumulations of snow & snow skiing is a favourite winter pastime. Turkey has several ski centers, which are generally open from December through April depending on snow conditions.